In this study, a single triangular sharp-crested weir and four combined structures consisting of the weir and rectangular gates with different dimensions were tested to find the effects of water head over the weir (h) and geometric parameters such as gate height (d), gate breadth (b), and the distance between top of the gate and bottom of the weir (y) on discharge coefficient (Cd) under free flow conditions. A new form was proposed for the equation used to compute Cd, which is based on a combination of triangular weir and rectangular gate equations. Experimental results showed that as dimensionless ratios of h/d, h/b, and h/y increased, the discharge coefficient and total discharge increased, too. Additionally, discharge coefficient for the combined weir–gate increased with increasing gate opening at same flow rates. It was concluded that, at low discharges, the gate and its opening are the main water head controllers, while water levels at high discharges are mainly controlled by the weir. The two utilized soft computing models (MLP and SVR) predicted Cd accurately, with R2 values (for total data) of 0.966 and 0.967, respectively. However, MLP was considered superior, due to its better statistical indices of RMSE, MAE, and R2 (0.027, 0.022, and 0.984, respectively) for validation data set compared to those of SVR (0.065, 0.042, and 0.948, respectively). Comparison of results with equations presented in the literature showed that some equations match the observed data much better than others, which are noticeably different. It was concluded that assuming the general form of a gate or a triangular weir equation for a combined weir–gate structure shall be reconsidered before its utilization in particular applications. 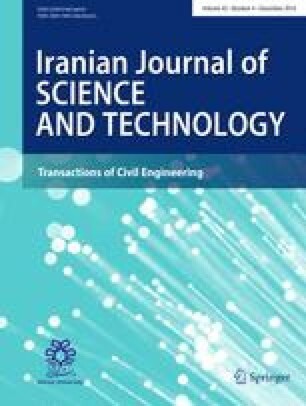 Authors would like to thank Mr. Mehdi Zinivand, Professor Mahmood Shafai-Bajestan, and Dr. Mohammad-Reza Nikoo for their invaluable help, ideas, and comments.